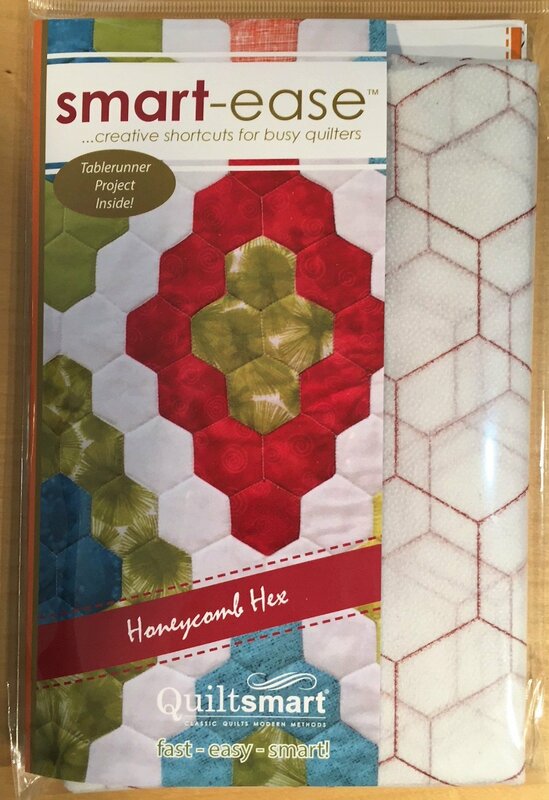 Honeycomb Hex is the BEST way to make Hex designs quick, fast, and fun! If you can draw it (on our grid! ), you can sew it! Extremely clever... you will LOVE it! METHOD: "ZigZag Applique", so this is SO EASY! Just stitch on the lines, trim, turn, fuse and zigzag! Accurate and fast with no needle-turning or freezer paper! 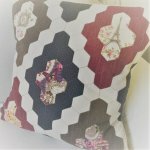 Not paper piecing! Comes in a 6" x 9" pack with 2 panels of interfacing 20" x 36" grid & instructions! 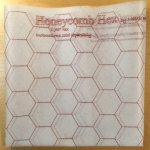 Hexes finish are 1.75" across from side to side (2" from point to point). PEEK DOWN (Scroll) below video to see SUGGESTED PRODUCTS!